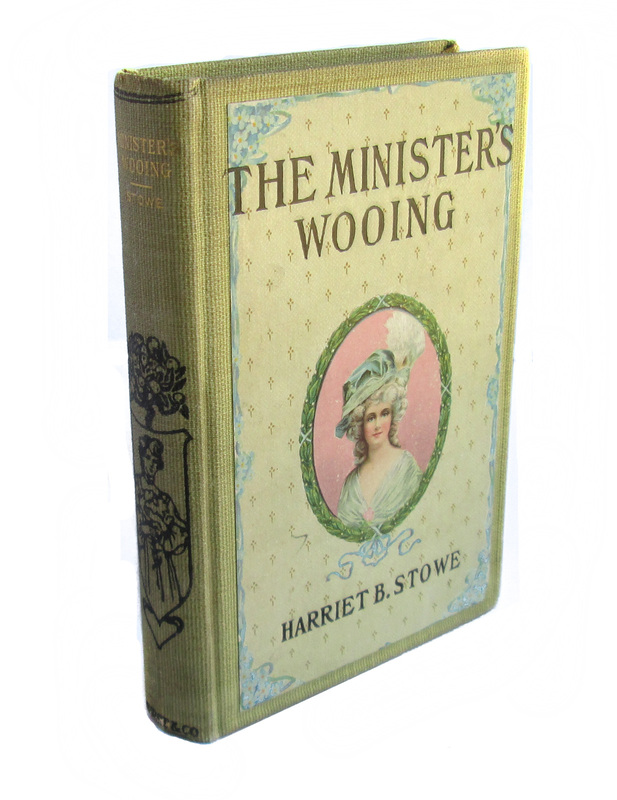 The Minister's Wooing is a historical novel by Harriet Beecher Stowe, first published in 1859. Set in 18th-century New England, the novel explores New England history, highlights the issue of slavery, and critiques the Calvinist theology in which Stowe was raised. 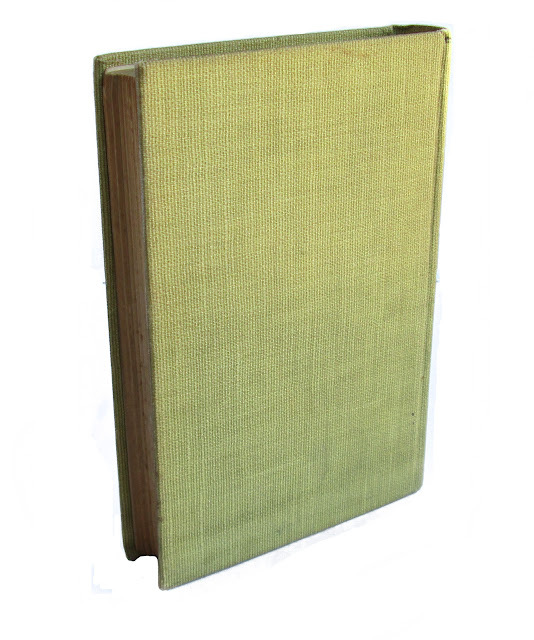 This antique copy, 5"x7.5" is a hard cover edition with a color illustrated cover with black lettering on the front and spine of the cover. 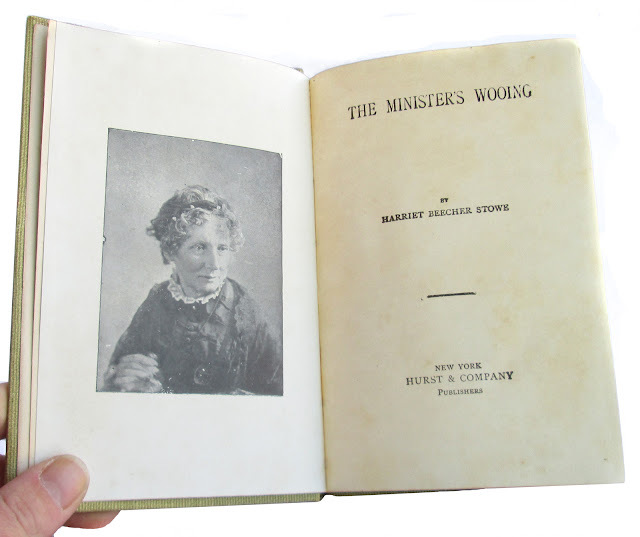 Black and white illustrated frontispiece. 434 pages. Book is in good condition with tanned pages, foxing, wear and soil.